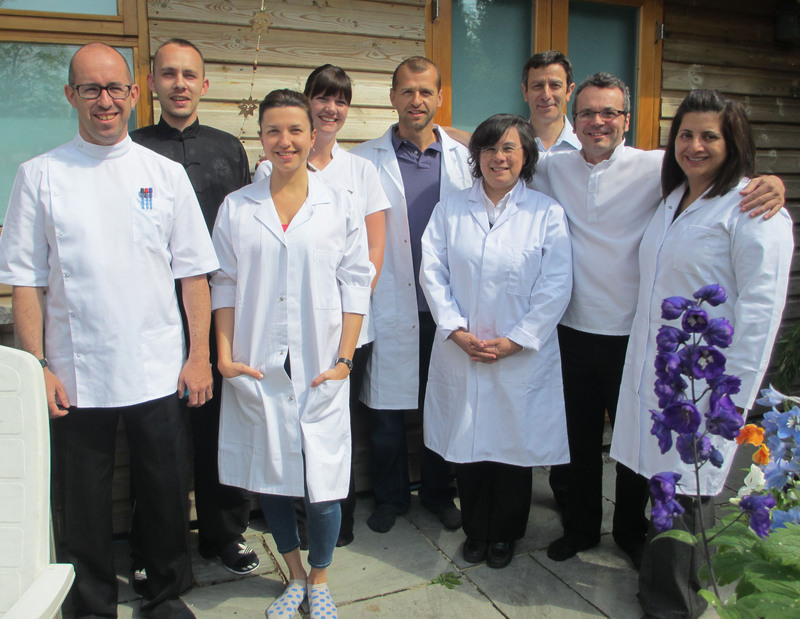 Her 23 day acupuncture course produces fully competent, professional acupuncturists with passion for their work. 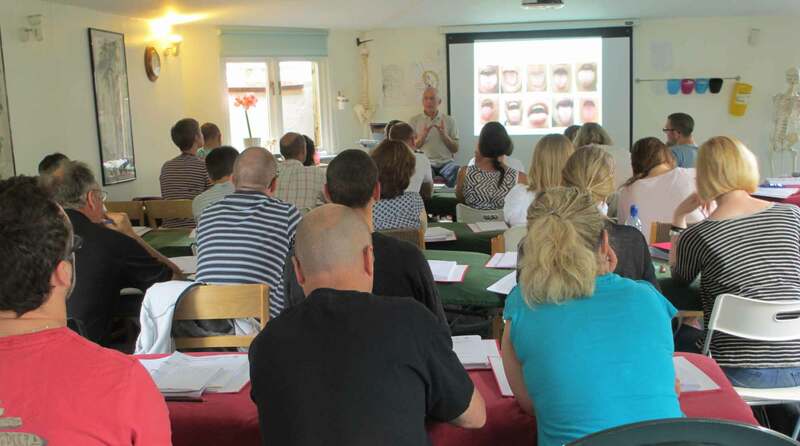 The acupuncture course syllabus is as intensive and rigorous as a degree level acupuncture course but with 50/50 academic and practical from day one. The main emphasis is on TCM -Traditional Chinese Medicine acupuncture throughout, taught from unique reserves of knowledge and understanding that result from years of study in China. The acupuncture training course covers all essential Chinese medical theory together with all the needling and other practical skills that a professional acupuncturist would require. To learn the interrelationships between the 12 meridians and the 8 extraordinary meridians and the use of specific acupoints to capitalize on these relationships. To accurately locate 140 acu-points and learn their special functions. You learn the location and qualities of the Yuan source, Luo connecting, the Five Shu, the Qi-Cleft, the Influential and Back Shu and Front Mu points. 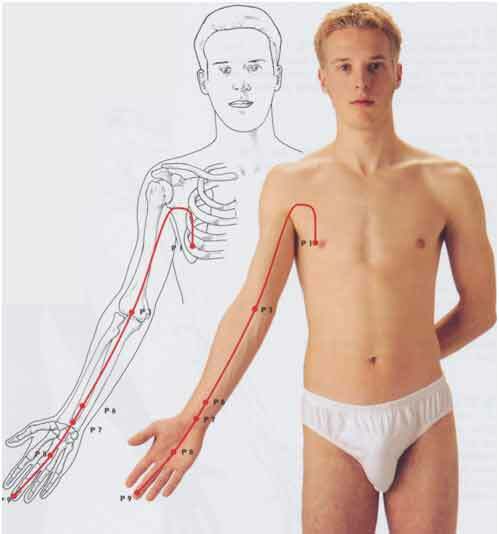 You will learn to use and needle all these acupuncture points in a diagnostic and treatment context. There will be serious emphasis placed on diagnostic skills. You will learn to take the pulse to determine its strength, depth, speed and quality to provide essential clues to the final diagnosis. Every practitioner versed in TCM -Traditional Chinese Medicine theory will use tongue diagnosis as a quick, easy and comprehensive way of confirming the health status of a patient. You will learn to observe the tongue to determine colour, shape, coating and particular areas, to give the most accurate indication of a pattern of disharmony. A normal tongue should be pale red with a thin translucent coating with no swelling or cracks. You will learn the causes, symptoms and inter-relationships of TCM Organ syndromes. 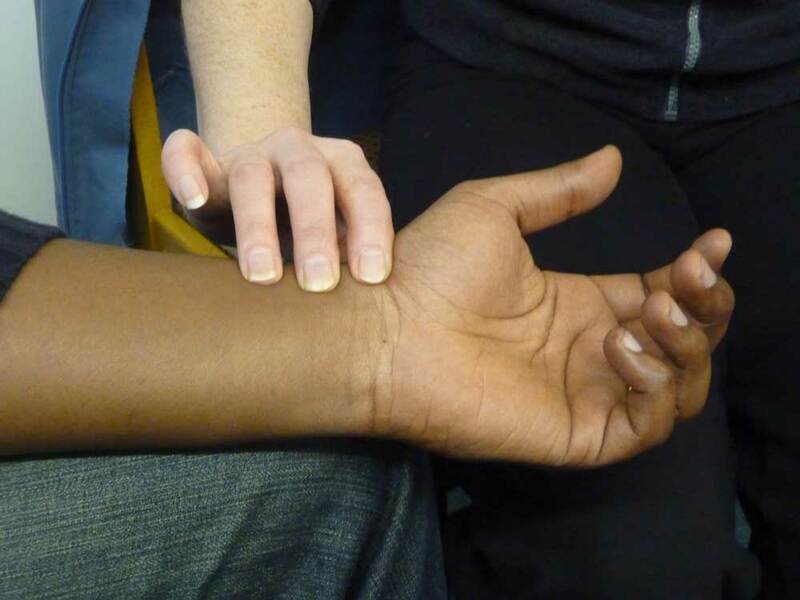 You will learn Maria Mercati’s most effective possible acupoint combinations for needling. You will be introduced to Five Element acupuncture theory. Maria Mercati’s course teaches you the treatment all acute injuries caused by sports or trauma and all chronic arthritic conditions and their underlying causes. You will learn the pathology of Bi syndromes covering TCM Stagnation, Damp, Cold, Wind and Heat. Huatuojiaji and Back Shu acupoints are used for both musculo-skeletal and all chronic internal and acute external conditions. 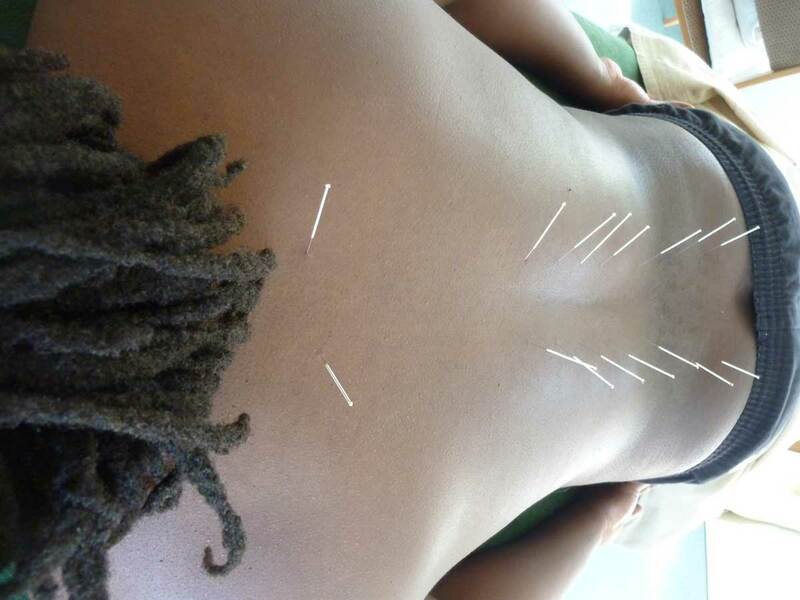 Throughout the course great emphasis is placed on safe, effective needling particularly in relation to spinal acupuncture. Huatuojiaji acupuncture points to tonify the Organs needled safely and deeply. 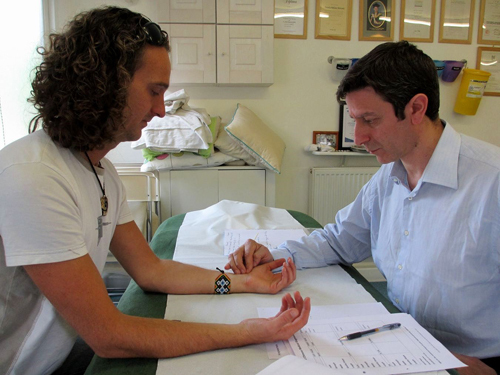 The acupuncture training course has lots of hands on practical experience. 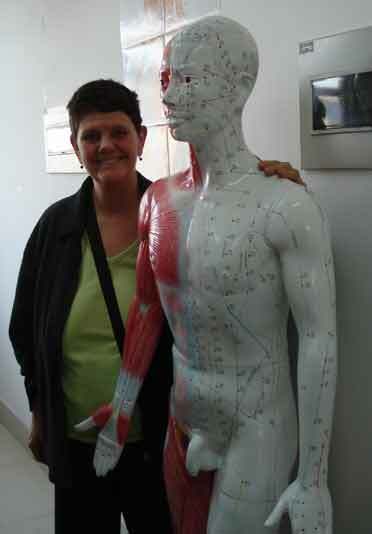 “Our acupuncture course has a strong focus on diagnosis and the formulation of needling prescriptions.” Maria Mercati. I feel it’s very important to give each student the opportunity to practice needling each acupuncture point, accurately and deeply and experience first hand their uniquely different effects and sensations. The World Health Organization (WHO) list of conditions for which Acupuncture is effective? The World Health Organization (WHO) has been responsible for controlled clinical trials of acupuncture therapy for a wide range of different medical conditions. 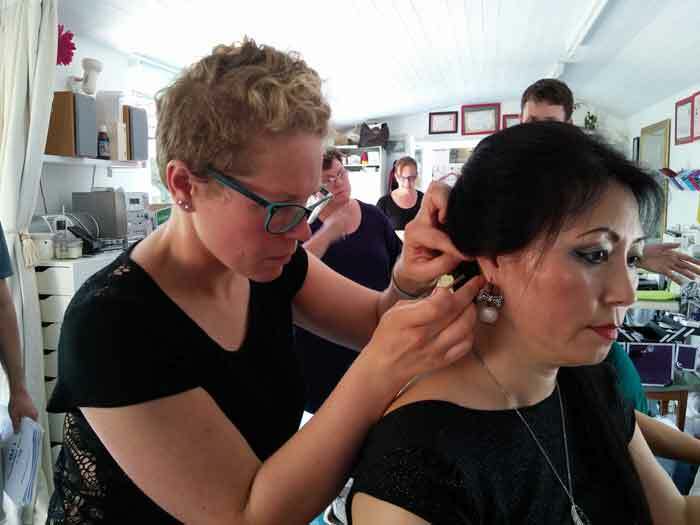 At the BODYHARMONICS School, we teach practical Acupuncture exactly as practised in China today. 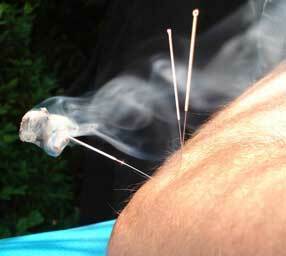 Acupuncture is used for conditions that Tui Na alone would improve more slowly. 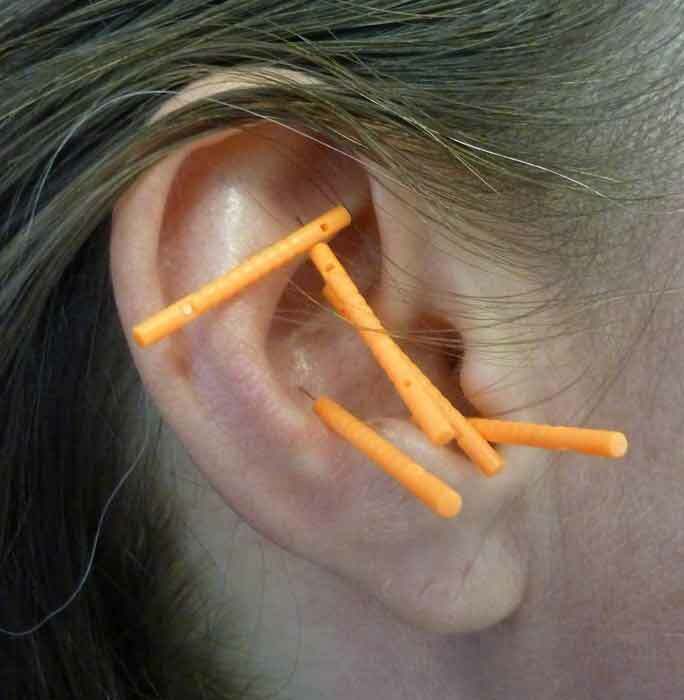 Many patients are paranoid about acupuncture needles however, and being able to offer Tui Na in addition to acupuncture gives you another set of options. 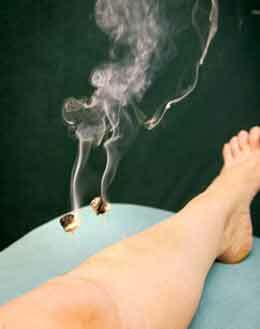 Click here to see a list of medical conditions for which Acupuncture is effective. This covers the five detox points as seen in the picture and also stress relief, weight loss and musculo-skeletal pain relief. Primarily used for pain control. It is a system that can be used on a daily basis in a clinic that specialises in musculo-skeletal conditions. It is used for toning the face, reducing lines and wrinkles. 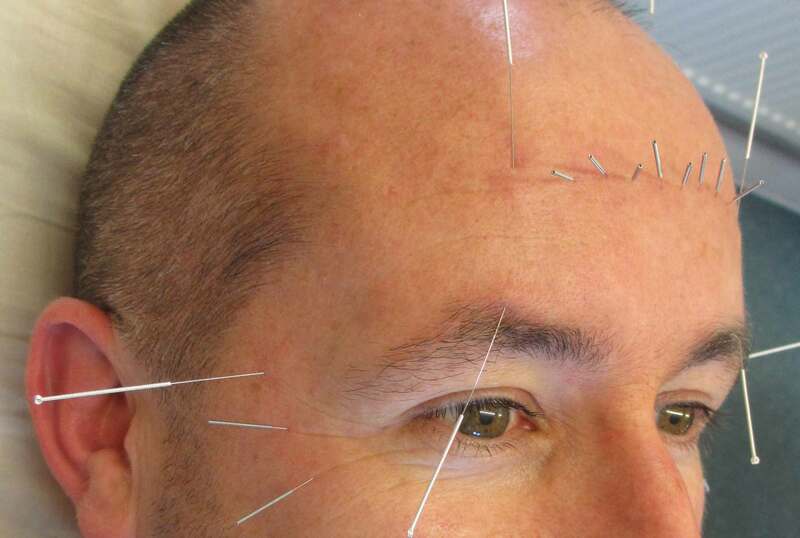 Our cosmetic acupuncture will be learnt under the strictest supervision to ensure total safety. We will show you both the Western style cosmetic acupuncture as well as the Chinese style. Electro-acupuncture therapy is taught on the CPD by Danny Van Laethem after the exam day. “For me, Acupuncture is so exciting as there are many, many ways to use it to produce the desired effect. The Chinese text translates as “to be a good acupuncturist you need skill, knowledge, experience and kindness”. These are the essential tools to effectively and almost intuitively use this most powerful of medicine. The outcomes can be so remarkable that it almost seems like magic. At other times it is necessary to draw on my years of experience and be more patient as the desired results unfold more slowly. 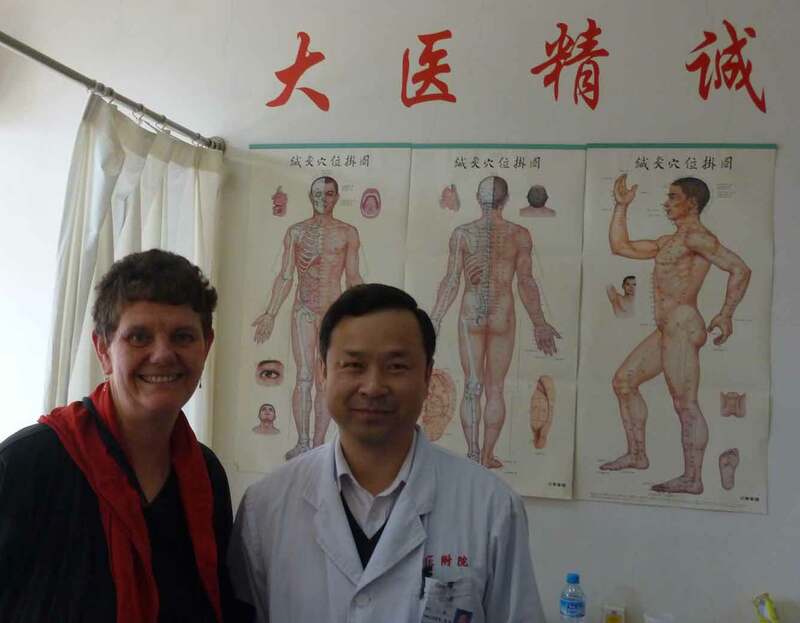 How Acupuncture can change people’s lives, physically and emotionally – read on…..
Maria Mercati studied with Professor Wang Rui in the TCM hospital in Jinan.